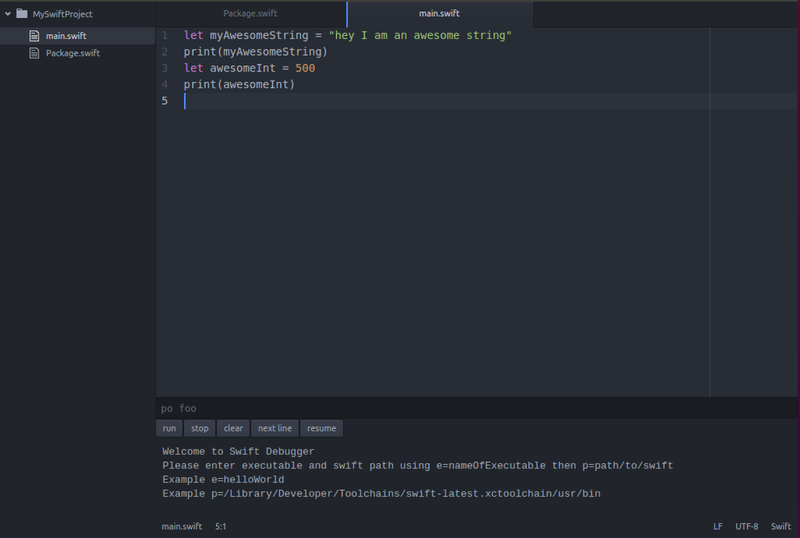 As of now theres no IDE available for swift that runs on linux which makes it kind of annoying to develop packages due to constant switching between text editor and terminal. I had never used Atom before but I wanted to see if it’ll live upto its name and let me hack it to integrate the Swift Package Manager and LLDB into it. 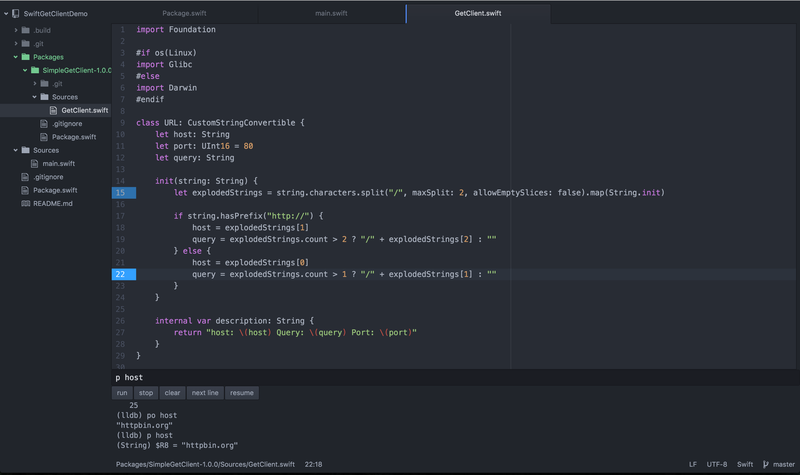 Swift Debugger is a small atom package I wrote which will run the swift build command then start lldb with the executable as argument bringing compiling and debugging of swift packages right inside Atom’s UI. You can toggle breakpoints in your files visually with a shortcut and the lldb will apply those breakpoints and break at those lines. 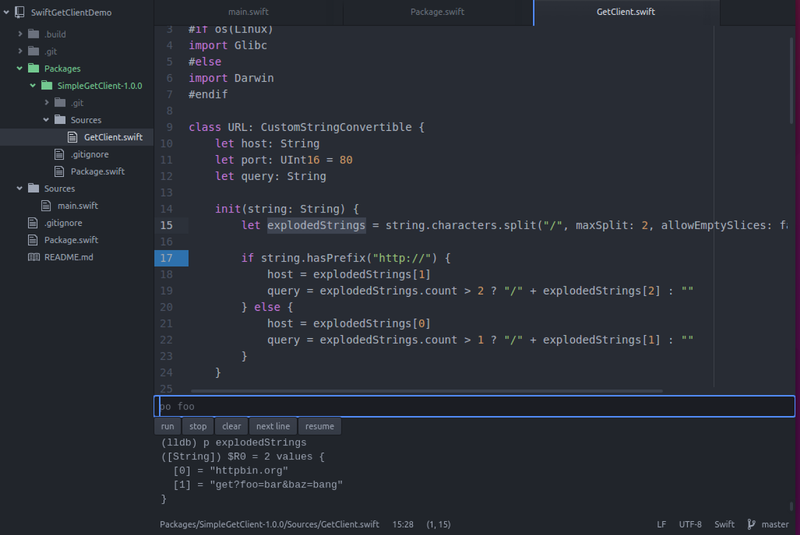 Since Atom works on Mac and Linux, the swift-debugger package also works on both. 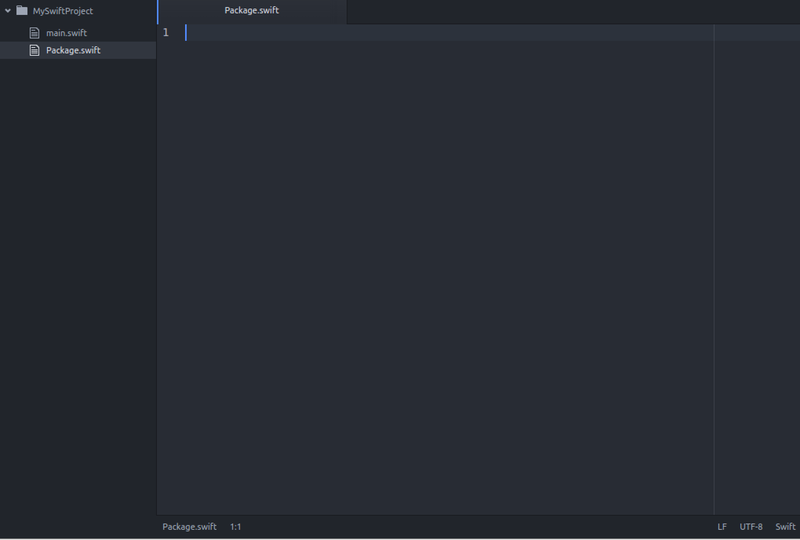 Now open this folder in atom using command line or open atom and browse to the folder you created. Now lets give name to this package. Enter this in Package.swift and save it. let myAwesomeString = "hey I am an awesome string"
The debugger will output “swift path set” and “executable path set” respectively. All set. Time to build and run the project. Just press run button in debugger. The debugger will compile and run the executable and show you the output. Time to set a breakpoint, go to line number 3 and press alt-shift-r and it should show you a blue bar in gutter which means breakpoint is on for that line. You can toggle it on or off. Now press run again and the execution will stop at line number 3. Enter “p myAwesomeString” in the input box to print the object. You can go to next line using “next line” button, and “resume” to go to the next breakpoint. If there is no more breakpoints, it’ll continue the execution. You can press “stop” to kill the execution and “clear” to clear the output. The inputbox sends exact commands to lldb debugger so every feature of lldb debugger is available right there itself! Now lets try building and debugging project I created for the last post. Now on left in file explorer you’ll see the folder Packages created, go to Packages/SimpleGetClient-1.0.0/GetClient.swift and toggle a breakpoint at line number 17 using alt-shift-r and press run, when execution stops, enter “p explodedStrings” to inspect that variable. 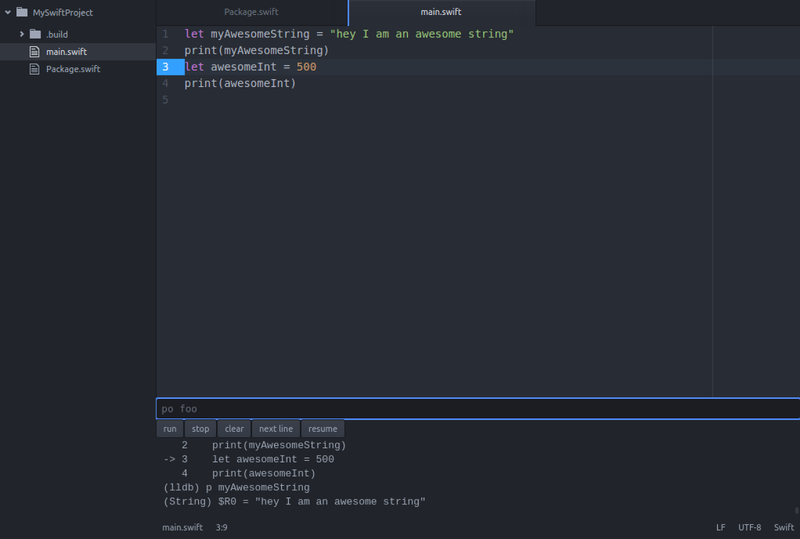 You can play around with the debugger using “next line” and more breakpoints. Report any bugs you find at : https://github.com/aciidb0mb3r/atom-swift-debugger/issues by creating an issue.